After days of listening to car songs I come up with a top 10 list of favorites. Contemplating trees and noticing how each one has an individual character leads me to uncover the secret life of trees. We were shopping for Halloween costumes for the kids when I saw this frantic woman dummy screaming in a made up elevator shaft and I was touched with the depth of her anguish. I decided to video tape her and put her in this video. 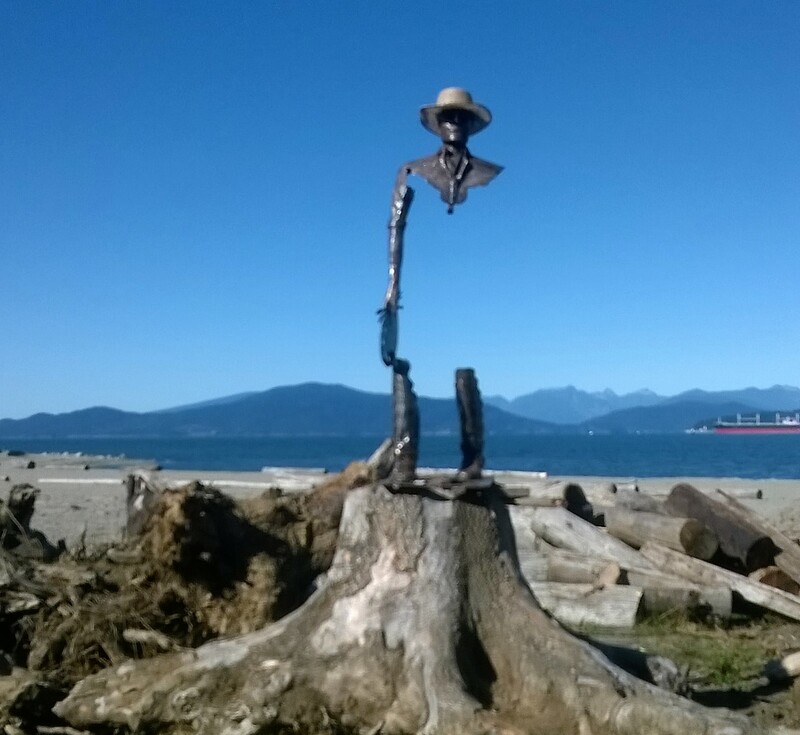 Spotted during a walk along the beach. Metal sculpture by Don Francis. A few highlights from the first Indie Author Day held at the Vancouver Public Library. My very first paper cutout stop motion animation. Rocks Pebbles Sand is a story has been circulating around the internet for years. Nobody knows who actually wrote it. I re-wrote it a little to suit my own nefarious purposes. Experts, self help gurus and advice peddlers … they are selling us conflicting things. In the end nobody knows anything. Ignorance is bliss.